As the winter fast approaches and the days grow ever shorter, we all start to look forward to those special family gatherings when everyone comes together for the Festive Christmas season and New Year celebrations. To help to get the festivities off to a great start a HotSpring World hot tub makes perfect sense! They are a great place for everyone to escape from the world, and the British weather, all cosy and snug together as those long nights draw in! 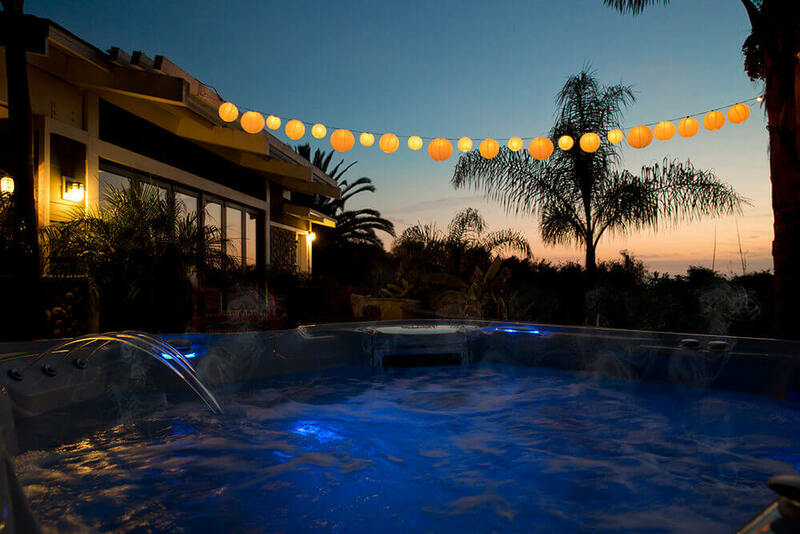 In fact there are many benefits to dipping a toe in the soothing warm waters of a hot tub this coming season. 1) In a hot tub you can warm up all your families frozen bits, such as fingers, toes, noses and ears, whenever you want to! After a chilly hike for example! 2) Jumping in a hot tub can help to ease away those aches and pains that the cold can sometimes bring on. This can be particularly good news for sufferers of arthritis and other joint related conditions. 3) You’ve done all of your Christmas present shopping, had fun queuing, got all the food and drinks in ready, sent out the invites, cleaned the house from top to bottom, now it’s time for you! 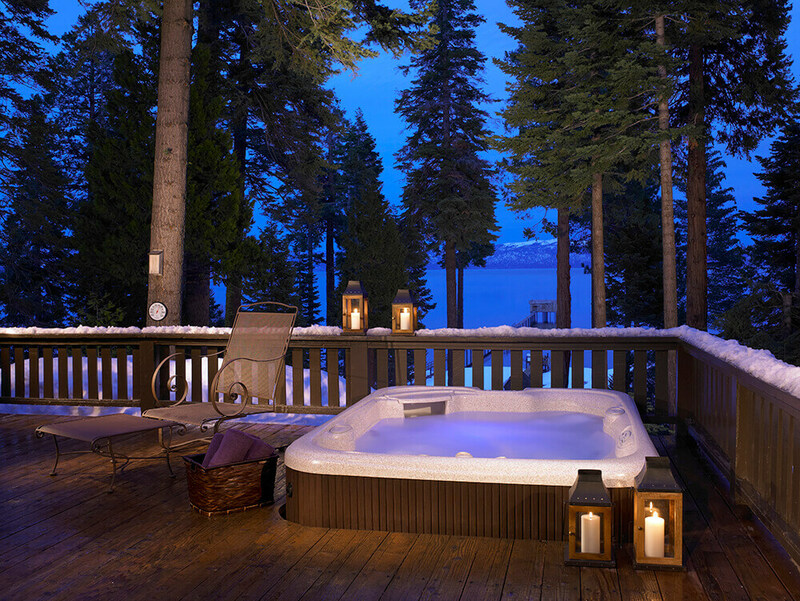 Jump into your very own hot tub and feel all those festive stresses falling away! 4) Do you suffer from the winter blues? If so, you are not alone, because medical circles now recognise this condition with its own name, SAD (Seasonal Affective Disorder). Dipping into your hot tub can help you to shake the winter blues, let’s put that smile back on your face together! 5) Had a hard day in the office, followed by a dreary damp walk back to the station to find your train delayed yet again? When you have been standing around in the cold, or indeed walking along gritted pavements and roads, winter chills can set in. What better way to heat yourself up again when you get home than in the warm and inviting waters of your HotSpring World Hot Tub? 6) Do you sometimes like to enjoy the romantic feeling of watching the clear winter night skies with a loved one? What better place to do so than when comfortably reclined together in the caressing warm waters of a hot tub? 7) If you like to run, or perhaps participate in other forms of winter sports such as Rugby or Football, then a hot tub will help to rejuvenate and sooth all those tired and aching muscles and joints. 8) Do you suffer from winter colds and snivels? If so, a dip in your hot tub will help to warm you up! The warm steam will allow you to breathe more deeply, clearing your sinuses up and even soothing your throat. Cold bugs love cold, so keep warm! 9) Imagine it is Christmas day, all the pressies have been opened, the Christmas dinner has been served and the old un’s are all a little tipsy and nodding off! Leave them all to it and escape to your own secluded and private paradise, your hot tub! Looking for that perfect Christmas present, the one that just keeps giving, all day and all night, all year long? Well, you know what to get for your loved one now! Put a smile on their face and surprise them with the ultimate gift this Christmas, their very own HotSpring World hot tub! Finally, don’t forget all those fun HotSpring World matching accessories to go with it, such as a luxurious HotSpring Robe, a Luxury Picnic Hamper or trendy Spa Bar Cooler, to keep all their favourite festive spirits in! May we be the first to wish you a Merry Christmas and a Happy New Year!